A world without music. A world without art. A world without — insert Shoji Kawamori voice here — culture. This is the setting of Carole and Tuesday. Fifty years after Mars was colonized by humanity, everything culture-related is designed by algorithms. It’s not a society without culture per se, but it’s one where art is completely removed from human hands — a much more realistic outcome of what is currently happening across every artistic discipline. 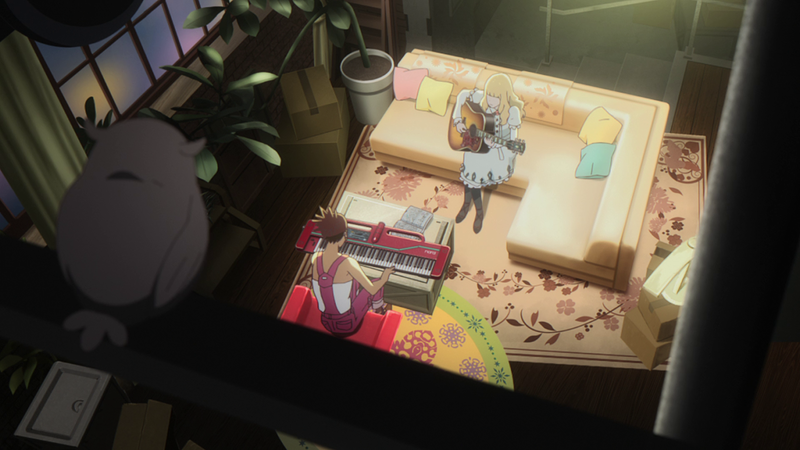 Carole and Tuesday isn’t the first series to take on a world without music or art, but it could end up being one of the most prescient. There are myriad thematic constants in all of director Shinichirou Watanabe’s works and one of the largest ones is music. Known for blending multiple genres together in his works, music becomes a unifying force that binds them together, especially through Watanabe’s partnership with composer Yoko Kanno. Cowboy Bebop‘s opening theme “Tank!” and entire soundtrack are still held up as one of the best of all time, and a frequently-cited favorite of Kanno’s fans. Kanno and Watanabe use hip hop in Samurai Champloo and take on jazz music in Kids on the Slope. 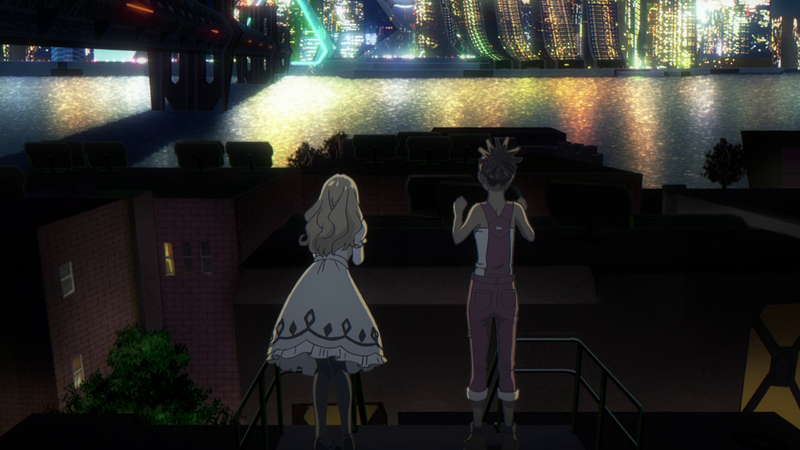 Music means a lot to Watanabe and this love becomes the primary thematic element of his latest work, Carole and Tuesday, in a way that’s more incisive and even more personal in a way than it was in Kids on the Slope. Where Kids on the Slope tackled how music transformed Kaoru Nishimi and Sentarou Kawabuchi’s individual lives, Carole and Tuesday aims for something significantly broader, much like its two leads, Carole and Tuesday: eschewing the algorithm, and the idea of what music (or art) can be. Any artist, musician, or maybe just any artist who has been told that if they really wanted to do something useful, they should have gone into a STEM field, might want to pay attention to what this series will have to say. There’s no direct correlation between Carole and Tuesday and, for example, the current discussion of how Spotify pays artists, but the latter is difficult to put aside in your mind while watching if you know anything about it. Further commentary can be found in environmental details. Carole is the only person on the road outside of an army of self-driving vehicles. There are some interesting, “inspirational” messages behind Tuesday when she arrives in the city and promptly has her luggage stolen. Art still exists in this world, but that art is commodified and produced according to an assumption of tastes without human input on the creative process. This is further exemplified by the music producer Mr. Tao, who tells the child star Angela that she is the first non-AI “musician” that he’s worked with, and that she’ll have to become his marionette, implying that there’s little creative process involved whatsoever. Yet, these two young women aren’t creating music for the purpose of upending the algorithm, striking back at society, or anything other than expressing themselves as people. The other baggage just happens to come with that creative territory because the act of making music with their own hands, completely organically, is an act of defiance due to the social order, particularly for Carole, who says that she already knows that no one will listen to someone like her. 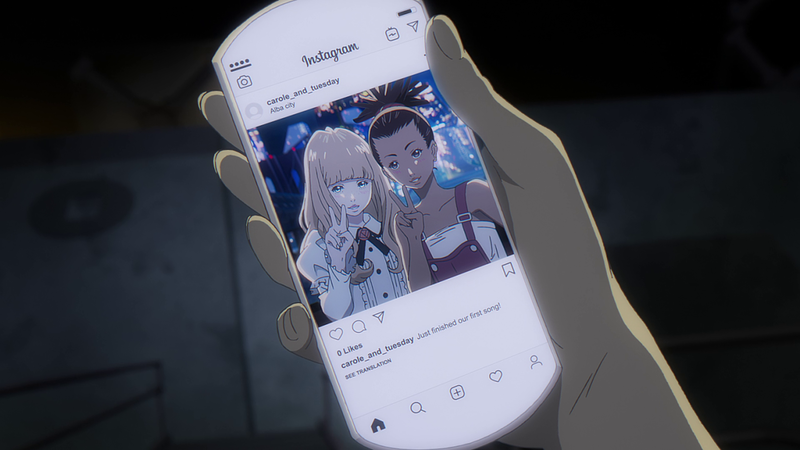 One of the more interesting, seemingly throwaway, moments in Carole and Tuesday is when Carole posts their first selfie together to Instagram (unchanged to a similarly-named off brand, which is impressive in its own right when you think about it and also thematically relevant). The camera later zooms in on their stat line: zero followers, zero likes. The selfie and accompanying, “Yay” is a posed recreation of their organic and emotionally-charged reaction to their first jam session where both Carole and Tuesday, basking in the afterglow of creating their first song together, high five each other from across the room with a loud, “Yay!” This happens away from everything but the series camera. Naturally, the recreation for social isn’t going to have the same punch as the original. 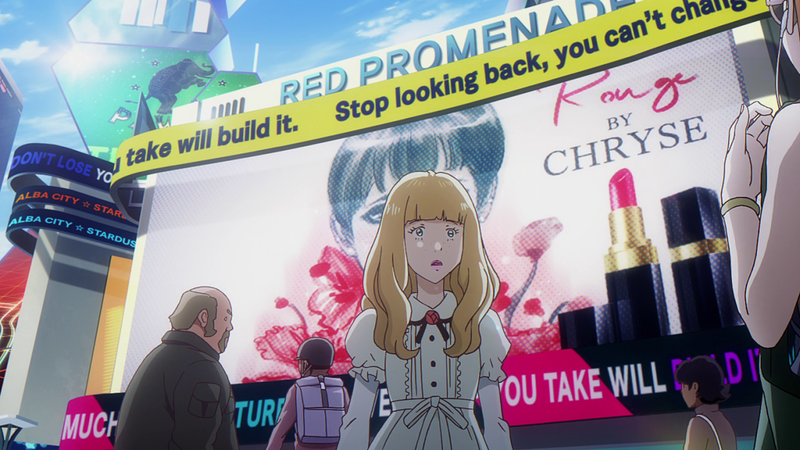 There’s also the real-life carole_and_tuesday Instagram account that posts the same images shown in the series. Social media is a double-edged sword in that it allows smaller artists to gain traction organically. Many the unassuming artist has gone viral online and subsequently turned that into a legitimate career (or a one-hit wonder at the very least). However, most social media platforms are also increasingly skewed to those that have more money and resources. The slightly-futuristic Mars where Carole and Tuesday are trying to create music together and release it into the ether is home to a world where computer algorithms, like the ones used on current social media platforms, have completely taken over, automatically curating and dispensing what appears to be “best” (or perhaps simply the most lucrative). This isn’t a new story — money has ruled over music production for years — but the added detail that entertainment isn’t banned but controlled through technology is an interesting and timely theme. It’s no coincidence that Carole and Tuesday — even with Tuesday’s departure from her obviously wealthy family, which is an entire other can of worms — shout their aspirations from a rooftop in a poor neighborhood across the river towards a glittering city that, despite being geographically located on Mars, doesn’t look all that different from modern major cities. 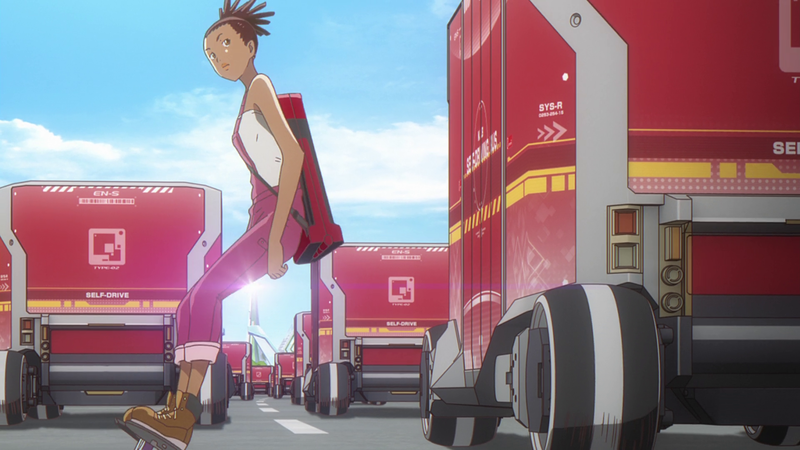 As for the music itself, Carole and Tuesday seems to be focusing on a broader pop music (which can come from multiple genres) rather than a specific genre like hip hop or jazz. 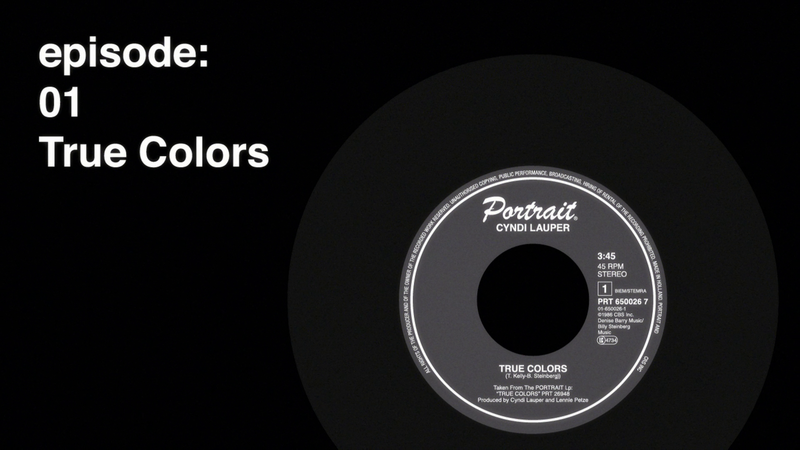 Cyndi Lauper’s “True Colors” lends its name to the title of this episode and is an inspiration for Tuesday’s pursuit of music. “True Colors” is more general pop, and the next episode is called, “Born to Run,” after the Bruce Springsteen rock-and-roll pop song. Fantastic post. Very insightful to some of the things I missed. I LOVED the first episode! Great intro to Carol and Tuesday’s characters so far even thou we only got like half of their backstories. I’m not a huge music buff but i liked how the episode was titled True Colors makes me wonder if they will keep that theme going with each title being a song title? If I remember correctly Eureka7 did that as well or was that some Jojo episodes? I forget! at least I think that was a thing? The best and most jaw dropping bit for me was the brief collab between Carol and Tuesday doing their first song together! I liked how both girls were practicing solo for a bit then BOOM started to sinc up and eventually throwing in lyrics and singing it! I’m sure that song is gonna be repeated throughout the series which is fine cause its a great song. Bones also released some behind the scenes stuff on their youtube page with the singers that do the English parts and wow its very cool! I’m always curious how studios animate and seeing them use real recordings of the actors was nice. YES Eureka 7. I was trying to remember what other show specifically used records/recordings as eyecatches. Watanabe has used music before in Bebop and Champloo but it /was/ Eureka 7. Thank you this was bugging me because I couldn’t remember. Yeah it seems like the series is almost a multimedia project with how much they’re putting out. Almost like the girls are also a band in (for lack of a better phrase) our time.